Georgia is home to 16 species of bats! Bats are a valuable and fascinating part of Georgia's natural heritage. They provide a beneficial service by foraging on flying insects, many of which are pests. A single bat can eat hundreds of mosquitoes in one hour. They also eat large numbers of moths and beetles that cause agricultural damage. Bats will opportunistically roost and forage in altered habitats such as suburban and agricultural landscapes. A few species, however, have specific habitat needs, such as caves with suitable temperature and humidity, or large, hollow bottomland trees. Populations of these species are more vulnerable to habitat alterations and are of conservation concern. Other factors impacting bat populations include pesticides and water quality that impact aquatic-based food supplies, wind energy and as of the mid-2000s, a disease known as white-nose syndrome. 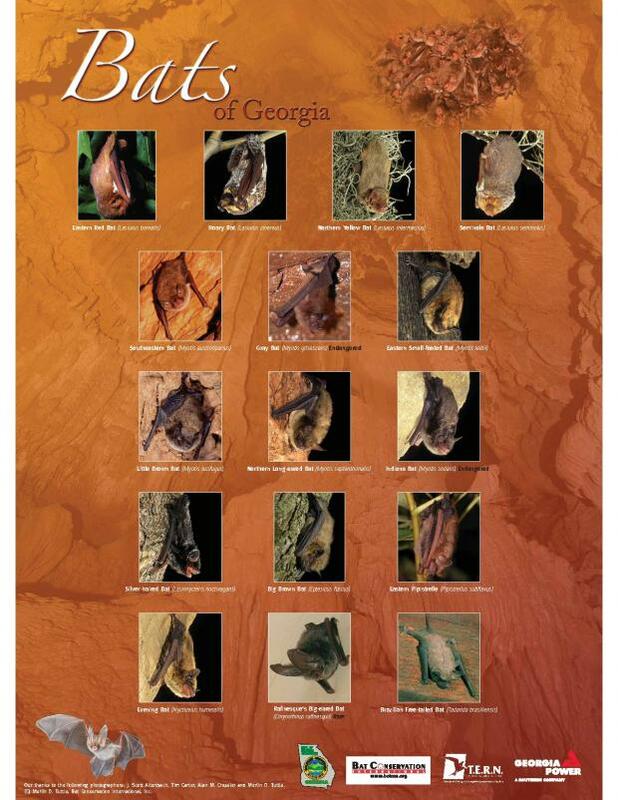 For information about bat species of concern in Georgia, visit our rare bats webpage. For more information about bats, visit the experts at Bat Conservation International. Want to get more involved with Bats in Georgia? Visit the Georgia Bat Working Group webpage to learn how. Want to attract bats? View a list of native plants in Georgia that may attract bats.